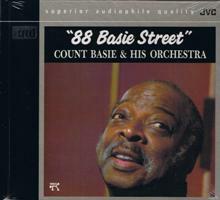 Commonly regarded as one of the most important jazz bandleaders of his time, William "Count" Basie (August 21, 1904 - April 26, 1984) led his popular groups for almost fifty years. 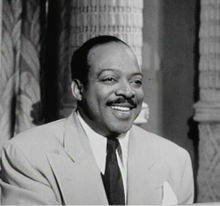 Many notable musicians came to prominence under his direction, including saxophonist Lester Young and singers Jimmy Rushing and Joe Williams. 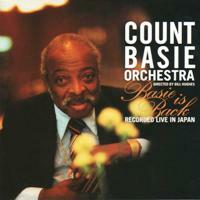 Basie's theme songs were "One O'Clock Jump" and "April In Paris," and "Every Day I Have The Blues" (1955), sung by the deep-voiced Williams, was also a major hit.